Why is it so complex? You may be surprised to discover just how complex the process of repairing a pipe or other assets in the road is! A leak in the road involves a variety of different organisations, institutions and agencies coordinating processes and resources to ensure a fast, efficient and satisfactory result. The truth is the process is delivered in several stages and delays can occur during and between different stages. The sheer complexity of the process can lead to inefficiencies and frustrations for those involved. Simply to reduce complexity and enhance the effectiveness of the process. Like many of our projects what appears a simple task is in fact quite a challenge and could involve a range of fresh thinking from collaborative process redesign to the introduction of new hardware and vehicles, new materials, and even digital systems. The initiative is being jointly sponsored by SES Water and Clancy Docwra. The organisations are very open to new ideas and fresh thinking from any source (including those you might consider to offer overlapping services). There is a genuine desire to collaborate with anyone who can offer new solutions and support development of new ideas and initiatives. As part of the initiative we are delivering a 4 day design sprint at a very special venue. 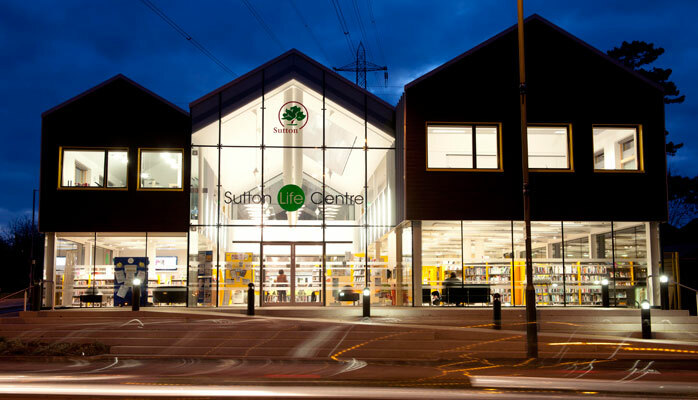 Sutton Life Centre is an in door experiential centre including a fully formed road and street with shops and even a cinema. The design sprint takes place from the 23-26th July. Over 4 days we will work with a community of stakeholders and suppliers (existing and new to the organisation), that can assist SES Water in significantly reducing the time it takes to deliver end to end streetworks. What new technologies could enable more radical change in process? Our ambition is to move toward first time reinstatement. This means defining the issue, repairing and replacing the asset and completing the final stage roadworks without the need for temporary fill. The +ADD strategy team will work with the event community to unpack the challenge, develop fresh thinking, build consortia and projects that could potentially be investable. As part of the sprint consortia will form and new business cases for change will be developed. These could be in the form of new technology developments or trials, new system developments and new interagency collaborations and projects. As always with our events, these are sponsored and participation is free of charge. You can participate from 1-4 days dependent on your availability. There are free opportunities to both present, exhibit and demonstrate new technologies, novel development and to engage with a significant community of stakeholders from SES and other agencies.